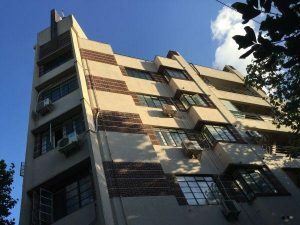 Having lived for years on former Route Kaufmann (today Anting Lu), my daily routine took me to the Zhao Jia Bang lu metro station, at the intersection of Route Dufour (today Wulumuqi Nan Lu) and Route de Ziccawei (today Zhao Jia Bang Lu). 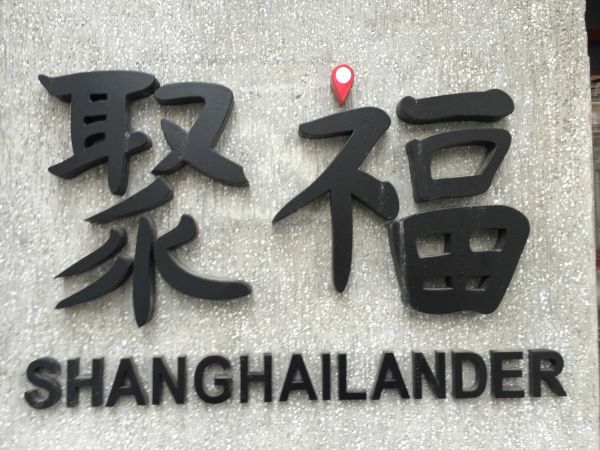 This area is also the location of Shanghailander Cafe & bakery. Having spent a lot of time in cafes in many places in the World, opening my own would surely be quite some fun. Although the name can be misleading, I have no link with this establishment, as a number of friends and readers have asked. Since I pass in front of this place nearly every day, I tried it and can recommend both the pastry and the coffee. The link with Old Shanghai does not stop with the Shanghailander name, as the Chinese name 聚付 is also significant, as it was the Chinese name of Route Dufour, former name of Wulumuqi Nan Lu. Route Dufour was constructed between 1918 and 1921 and was named after a French employee of the Standard Oil who was killed in WWI. Most buildings in the bottom stretch of the street are not original, but they kept the right style. 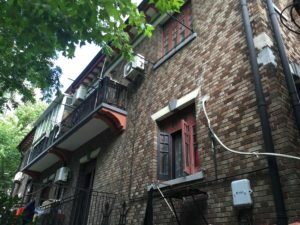 A notable building not far on the same street is the former Shanghai Nursing Home, that is now hidden in the trees and hosting many families. Much more visible is the Dufour apartment building, one of the lesser known Art Deco wonders of Shanghai. 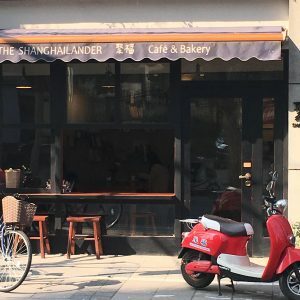 The location of Shanghailander Cafe has only become popular for cafes and bars in the last few years, with the transformation of parts of the Former French Concession in a trendy area. Starting to be inhabited in the 1920s and 1930s, this area was residential and quiet, considered like the suburb of Shanghai. The proximity to the end of the French concession, the Zhao Jia Bang Creek (where the main road is now located) was surely not a good location for a cafe. 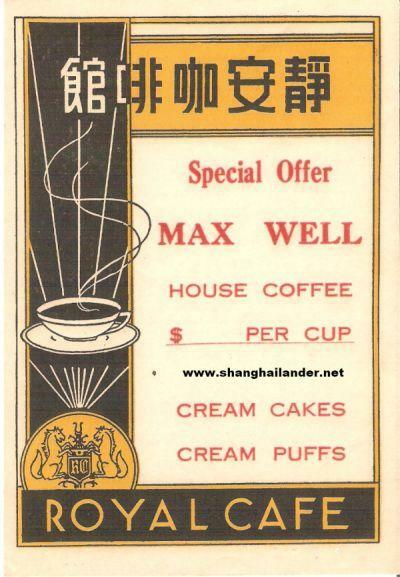 As show on this advertising for the long gone Jing An Cafe House, Cafe culture is nothing new to Shanghai, and coffe have spread everywhere in the last few years. 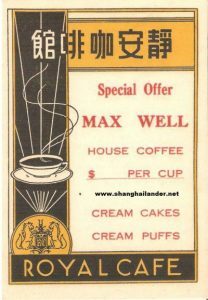 When I wrote the post “Shanghai Coffee Culture” in 2010, Shanghai Coffee drinking was all about coffee chains and some old timers like Deda Cafe. In the meantime, independent coffee shops have opened up everywhere… and some have already disappeared (see Boona Cafe and Citron Cafe post for more details) in the fast pace of Shanghai business. In new Shanghai, cafes have become trendy again, just like in Old Shanghai.